Delicately designed, the Milley wall sconce by Tech Lighting is constructed of sandblasted crystal and formed around an inner etched diffuser creating a beautiful glow. 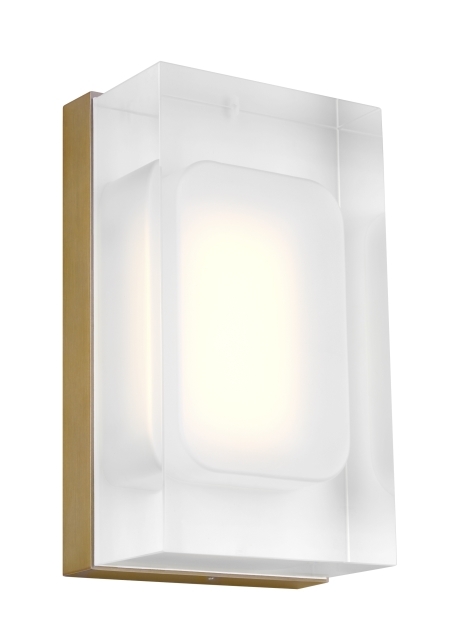 The integrated LED provides a visual elegance perfect for your bathroom, hallway, and bedroom. Offered in three finishes and measured 7” tall. Lamping options are compatible with most dimmers. Refer to Dimming Chart for more information. Length -- Choose -- 7"